Yesterday was a very sad day for me; one of my personal heroes’s died. Sir Patrick Moore passed away aged 89. Patrick was a national treasure, the embodiment of a world that sadly no longer exists, a better world with old fashioned values such as decency, service and helping others. Patrick stoically refused to be modernised which is why we loved him so much. With his pipe and monocle, his unkempt appearance, his infectious enthusiasm, and his willingness to send himself up Patrick was always good value. As a young boy I was captivated by his enthusiasm for astronomy and inspired by his Friday evening spot, seeing stars. I wrote to Patrick several times who always replied promptly to my many queries (I still have the letters and postcards). I met Patrick on many occasions and always found him to be excellent company, his deep love of astronomy, music and cricket brought forth many anecdotes all of them hilarious: a real story teller. Best known for his record breaking programme The Sky at Night Patrick was also one of the presenters of the moon landing programmes presented on the BBC. I often wondered what happened to MAUD the lunar bicycle unveiled by Patrick, perhaps future missions to the moon will resurrect this outstanding piece of British invention and initiative. Patrick was also an accomplished pianist and xylophonist and often performed his own compositions despite having no formal training. Often impersonated on TV with great affection Patrick was a familiar face to all. My favourite personal memory of Patrick was watching him demonstrate his spin bowling technique by thundering down the reception area of the Shaftsbury Hotel in Liverpool much to the dismay of the Maitre De and the hotel staff. Thank you Sir Patrick for all the pleasure you have given me over the past 40 years and to the countless others that you have inspired, you will be sadly missed. I’m sorry to hear about the passing of this person, who seemed to be so close to you. It’s difficult to lose someone you admire & respect. The world is quickly becoming an ineffectual place to live in. It’s a sad shame when we lose these giants from another era, a time & place that was far superior to what we have now. Sure, we have advanced in technology. However, we are regressing as a society, as a whole. Where have all the champions in life gone? 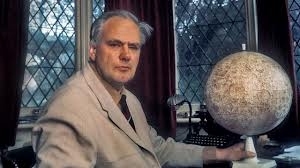 I guess this world just lost another champion with the passing of Sir Patrick Moore. Sorry my friend. On a lighter note, if I may, I wanted to let you know that I have officially relaunched my blog. It’s still a work in progress, but please stop by when you get a chance. George Nieves recently posted..Let’s Revive This Blog, Shall We??? 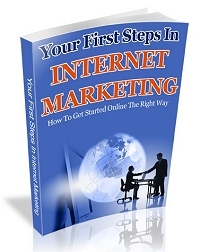 By the way, you did a great job revamping your blog. It looks great! I landed here from Barry’s post. It appeared to be sad day for you as lost your hero. The moment itself is really agonizing. It really hurts when you loose someone who is really very near and dear and also a hero. Please accept my heartfelt condolence. thanks for dropping by yes Partrick was a one off he will never be replaced. I met Patrick some 30 years ago when I was a student. He used to teach the solar system component of the astronomy module at Queen Mary College, London. To this day I remember how packed the lecture theatre was for his first presentation and wondering what the heck all those chemistry and arts students were doing there. Of course they’d all come to see an icon. He is the only person I’ve met who really could fill an auditorium with his presence. Yet he could also hold court in a corner of a pub and appear to go unrecognised, as he often did when he stayed late for the Astronomy Club’s meetings. So like you I feel a sense of loss that many won’t. Another loss from a seemingly better age. I suppose we should just count ourselves lucky we knew him and have such fond memories. Yes it is a sad time when we lose some one that is dear to us and it sounds like you had great respect for Patrick, he will be missed by many. You will have fond memories of him and it’s great that you were able to meet him. I am saddened by the passing of your mentor and hero Sir Patrick Moore. Sometimes our mentors can be from another time. What matters is how we communicate and talk to them in our personal mind laboratory. You were blessed that you had a chance to speak and know him while he was still living. His teachings will be a huge part of your life in years to come. He is still your mentor, you know that. Margarita recently posted..How To Set Your New Year’s Resolution And Actually Stick To It!